This was a move fans expected to become official at any moment. Earlier in the week, reports surfaced the Patriots were in talks with punter Ryan Allen on a new contract. On Friday, New England took to Twitter to let us know it's a done deal. Allen's new contract is for one year and $1.55 million. It includes a signing bonus of $100,000. 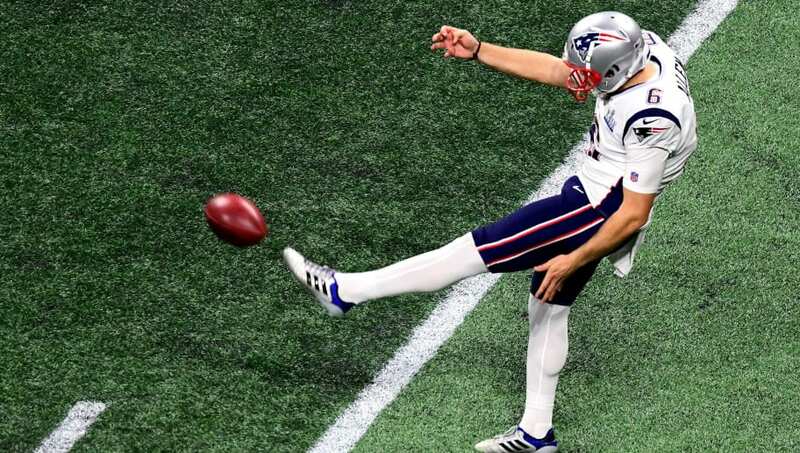 The punter, who won the Ray Guy award as college football's best punter in 2011 and 2012 at Louisiana Tech, has landed his third contract with New England. Allen's re-signing comes on the heels of a spectacular Super Bowl with five punts for 215 yards. Three of those punts pinned the Rams inside the 10 yard line. His long during the game was 53 yards.​ In a game with little to offer offensively, despite Sean McVay's offense going head-to-head with Tom Brady, Allen was praised as a Super Bowl MVP candidate in his team's 13-3 win. His strengths include directional punting, with hang time being something the Salem, Oregon native will likely work on, having finished last in the NFL in that category in 2018.